Baltimore Ravens fans, at least a good chunk of them, live in campers located in Walmart Parking lots all over the country. Wait, I don’t know that, but it’s a great guess considering they are still supporting Ray Rice even after he cold cocked his then fiance in an elevator. This picutre was taken last night at the Steelers / Ravens game and somehow, for the first time ever, Steeler fans came out looking like the less hillbilly fan base. Imagine that. Congrats Baltimore. You win. 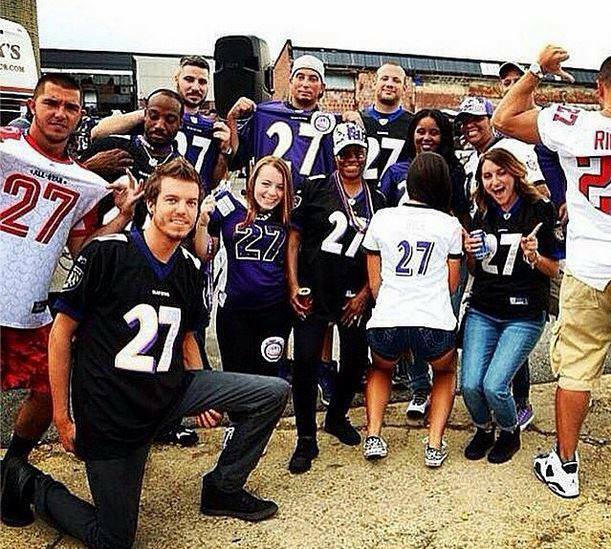 So last night females and males of the city of Baltimore @Ravens supported #rayrice . Guess it’s hope for humanity after all.